US Energy Sciences Reflect-A-Light® Collection Low-profile strip kit is suitable for universal industrial two-lamp T8 shape fixture or four lamp T8 shape fixture. It is perfect for warehouses, aisles and retail applications. It includes nine tek screws, eight lampholders, three brackets and eight quarter-turns. 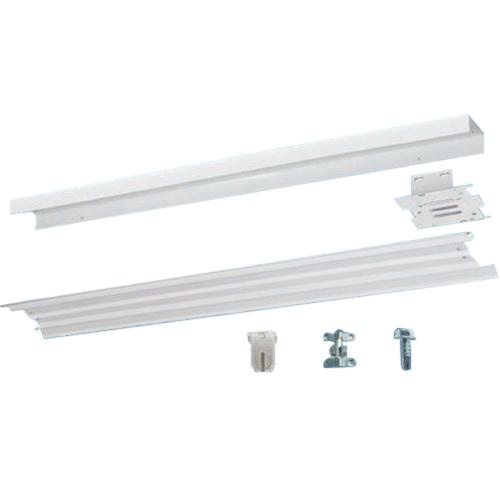 This high profile strip kit comes with two quarter-turn reflectors each of size 48-Inch x 8.5-Inch x 0.5-Inch. Low-profile strip kit is ETL listed and BAA qualified.